All went well. Knew from the start that I wanted to do a few watts more than yesterday. 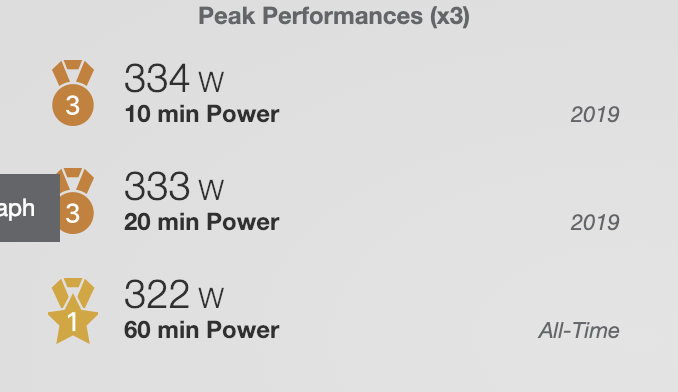 Hit 322 for 60 minutes, a new all-time, or at least since I've been using TrainingPeaks (many years). Thank goodness for Netflix. Watched a movie about the guy who ran the AT in 46 days. It put my one hour effort into perspective. And no one had to burst any blisters on my feet. Power averages by 10 minute increments were 299, 309, 326, 327, 331 and 339.